What I love about this chapter is that Jesus did not stop at just one illustration. He kept breaking it down knowing that there were different types of people in His audience. He knew there would be a diverse set of people who would later read His words. Knowing that we all have various experiences, He gave different examples so we could truly understand what the kingdom of heaven is. For the farmer or the gardener, the kingdom of heaven is likened to a seed. Seeds are readily available in that every fruit has them. Ultimately a seed is planted to yield a crop but there are things that have to be dealt with such as the condition of the soil, weeds and pests. This tells us that we need to protect the word from the enemy because his ultimate goal is to destroy the word/seed before any fruit is produced. To the baker or the person who likes to cook, the kingdom of heaven is like a tiny mustard seed or a pinch of leaven–a little goes a long way. Isn’t it amazing that the death of one man over 2000 years ago is enough to save the souls of the billions of people who have walked the earth? A little goes a long way. Salvation will never run out. All who believe in the Lord Jesus Christ can be saved. To the business person, the kingdom of heaven is like hidden treasure or a precious pearl. There will never be any possession or position worth more than being in the family of God. If all the wealth in the world was accumulated it could not pay for the gift of Jesus’ life that was freely given. To the fisherman the kingdom of heaven is like a large net that is spread and takes in everything. Afterwards the good is separated from the bad. There is no discrimination when it comes to the gospel. The gift of salvation is freely given to one and all. God doesn’t hold back because we belong to the ‘wrong nation’ of people. We are all loved by God. He wants to save each and every one of us. “Blessed are your eyes because they see and your ears because they hear”. This message belongs to all of us. We should not practice exclusivity. We should not pick and choose who we share the good news of the kingdom with because it belongs to all of us. If Jesus has compassion on all nations, so should we. We need to practice loving our neighbors as ourselves. Father, I am grateful that You are no respecter of persons. Thank You for sending Your son to die for the sins of the whole world. 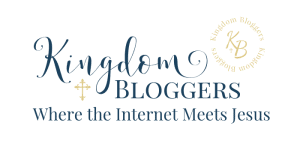 Help us to share the message of the kingdom of heaven far and wide. In Jesus’ name. Amen. I'm Aminata Coote. Thanks for stopping by. I'm a wife, writer and devoted follower of Jesus Christ. I invite you to walk with me on this journey to know God, know ourselves and run our race. God gives each of us gifts to build up the church, but is there a knack to using spiritual gifts to serve others? What would it look like if we used our gift for the glory of God? Today's interview with Katrina Hamel, author of Dividing Sword, shows us how to do that. Why were we given spiritual gifts? Find out more about using our gifts for God.